Picea orientalis 'Skylands' is a striking, decorative evergreen conifer with beautiful, golden-yellow, needle-like leaves. Carmine-red flowers (which look like strawberries) form in the spring, which change to reddish-purple cones that turn brown as they mature. 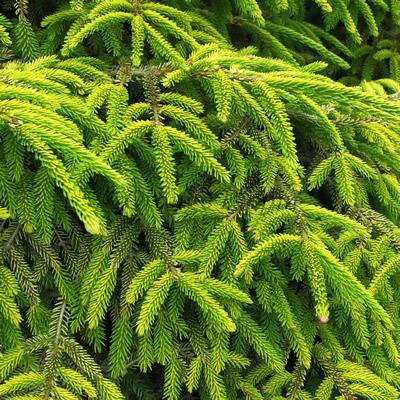 This slow growing, slender spruce is excellent for adding bright, year round colour to any large bed or border or as a stand alone specimen.